Blue Bottle's Oakland cafe is now open for extended business. 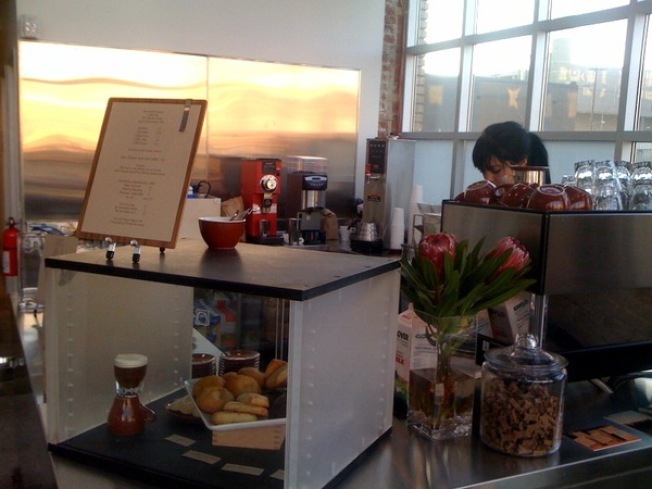 Coffee empire Blue Bottle's soft opening of its Oakland headquarters has come to an end. As of Tuesday the coffee roaster with a cult following will keep its only Oakland cafe open during normal business hours. The gourmet coffee roaster opened a cafe in its new Jack London Square headquarters in October but the hours were limited. Initially the cafe was open between 8 a.m. to 2 p.m., only on the weekdays. But now Blue Bottle tweets it will extend its hours to normal operating hours for a cafe for normal coffee drinkers. From 7 a.m. to 5 p.m., Monday through Friday, Oakland caffeine drinkers will be able to get their Blue Bottle fix. Blue Bottle's two downtown San Francisco cafes remain open until 7 p.m.